You’re just in time for some fresh trending decorations! It’s April but it’s not too late to start to follow the 2018 lighting design trends! This year brought some vintage trends back and some modern ideas as well, you just have to learn how to conjugate them. You ready? Let’s dive in together! Vintage is back and it’s stronger than ever. In 2018, the lighting trends will be … going back to the classic mid-century designs! There’s no surprise that the mid-century modern twist appeals to almost everyone and if you’re an interior design fanatic, but you secretly adore to watch Breakfast at Tiffany’s, then 2018 lighting trends will turn you into the happiest person alive! DelightFULL is going back to basics and rekindling their old mid-century flame, ready to face 2018 with their finest and most refined artillery: their classic and iconic lighting design items! These are some ideas on how you can turn your house design into the most straight outta the 60’s. Hope this will be helpful when the makeover knocks on your door! UltraViolet is the trendiest color for 2018, but this comes as no surprise as it was Pantone itself who released this color. It’s impossible not to fall in love with this color, especially because it transmits a sense of mysticism and optimist, don’t you think so? You can conjugate plenty of interior lighting designs with this color: whatever is vintage or modern, any lamp would go amazing with this color! The design brand you love so much as some ideas on how to rock it. 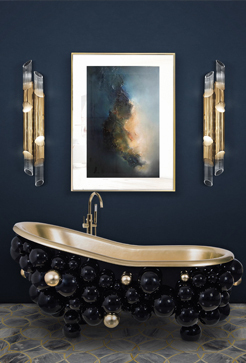 DelightFULL has amazing designs, that’s no surprise for you. But did you know that they are always coordinated with the most recent trends? That’s what makes them so good! There’s always been an unending fight between golden and silver brass, and as the opinions aren’t unanimous it looks like it’s up to us to decide what will be featuring in the 2018 lighting trends. Will it be silver brass or golden brass? This is the year for gold. 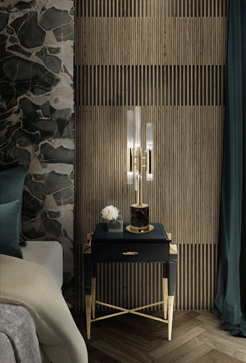 2018 will be filled with golden brass finishing details, golden brass furniture items, but the most important of all, golden brass lighting design items! Aged, battered, and worn hues are right at home in an industrial interior design. Think monochromatic with well-chosen organic or earthy accents. Metal-based tones, like steel and iron, play a heavy part in Industrial design as do oxidation-inspired reds and blues. The addition of whites and natural wood soften and balance the palette. This is a huge trend for this year because more and more people are doing a makeover in their lofts or old garages, keeping the vintage style and adding some metals, bricks, and wood to it, contributing for an emergent industrial style. Once upon a time, the mesmerizing and imposing chandeliers reigned the lighting design World, leaving zero or small room for other lighting categories to stand out. One day and as a glimmer of hope, the pendants that have had enough, felt it was their time to shine brighter than any other chandelier ever did! People are starting to opt for this new trend of pendant lamps that don’t give a heavy look to the room, are brighter, lighter and fresher. This year, we’ll be seeing a lot of these, which fled from your house entrance right into your dining and living rooms, and let me tell you, the spotlight adores them!